Council Members Casar and Pool at yesterday's announcement of a competing transportation bond. One thing the Mayor's and Casar's plans have in common is the $720 million sticker price, but both proposals allocate those millions differently. First, the Mayor’s plan. He wants $100 million put towards regional mobility projects – this includes work on suburban highways. But, Council Member Greg Casar wants no local bond money put towards these projects. He spoke at a press conference Tuesday. “Instead, our plan dedicates those $100 million to local projects, to neighborhood projects, to those projects that can really transform the everyday lived experience of Austin families,” Casar said. While Mayor Adler’s plan puts $120 million aside for projects like these, Casar wants more – he’s saying $220 million. There are other numbers, of course, but an easy way to sum up the differences is this: Adler’s plan is more car-focused than Casar’s. The Mayor says his plan represents a consensus – serving both those wanting MoPac to be more efficient and those who want more bike lanes. And then there's Kitchen's plan, which cuts the total bond amount by more than half. While she'd like to see more money put toward regional mobility projects (unlike Casar), Kitchen's plan allocates a good percentage of funds towards local mobility projects -- including spending on sidewalks and infrastructure for pedestrians and bicyclists. Council members will discuss the competing bond proposals at their meeting on Thursday. The Mayor says he hopes they can agree on something in time for ballot language to be decided in August – so one of these bond proposals can go to voters in November. 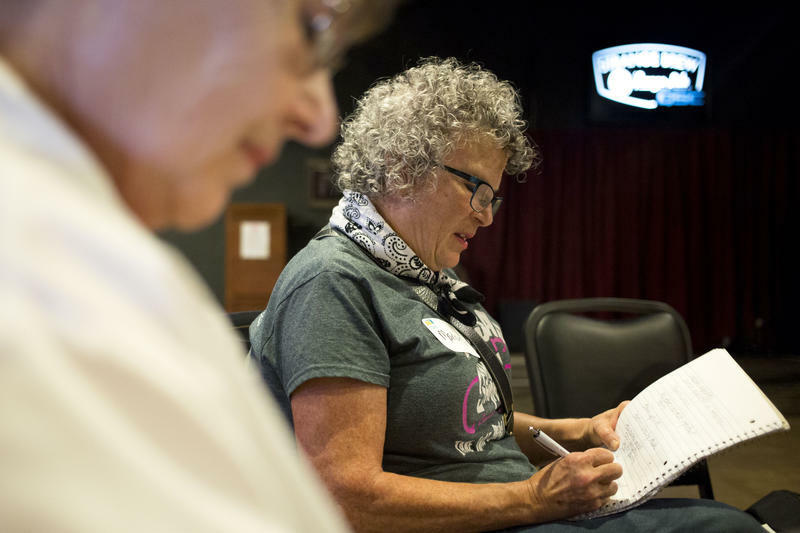 In a dark room usually reserved for musical performances in South Austin’s Strange Brew coffee shop, four Austin residents met on Monday to talk about the process of citizen petitions — the most recent of which resulted in Proposition 1 — and the debate over local regulations for ride-hailing companies.